Tell them that you love them and they matter! Lovely post..change the world…what such challenge! 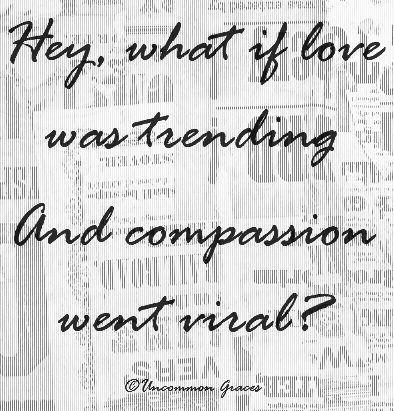 Love and Compassion is the answer….people like you, sharing faith, hope and encouragement are helping to change the world..thank you for what you are doing about that. Blessings.